"Holly Hughes is a tested, proven candidate of the highest quality whose political expertise will get her over the finish line in November. She is pro-business and pro jobs. Her position on the issues combined with her business experience will make her a great state representative." "After a careful review of the candidates we have found that Holly Hughes has a keen understanding of the problems facing family businesses and their employees. 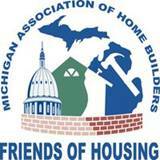 We wish Holly success in the upcoming election and we look forward to working with her in the Michigan legislature." "Holly Hughes meets Right to Life of Michigan-PAC endorsement criteria"
"I would like to urge my fellow voters in the 91st district to vote for Holly Hughes on Nov. 2nd. Her background in business will bring to Lansing a common-sense knowledge of how jobs are created and maintained, an approach that's been missing for the last 8 years. Thank you"
Supervisor Mike Cockerill, White River Twp. Mike and Stephanie Cockerill, Supervisor White River Twp. Lee Suits, Montague School Board Pres.